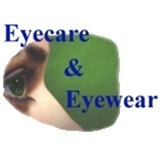 Eyecare and Eyewear (Aventura) - Book Appointment Online! We welcome you to our office and appreciate the opportunity to provide you with all your personalized eye health care needs. We pride ourselves on providing quality services and products at very reasonable fees. Our professional staff has been specially trained to work with you throughout your visit to our office. We will provide you with any assistance you may require, and will answer any questions you may have. We specialize in family eye care beginning with children as young as three years old.